Looking for the best Cross Country Skiing trails around Springfield? Find the top rated cross country skiing trails in Springfield, whether you're looking for an easy short cross country skiing trail or a long cross country skiing trail, you'll find what you're looking for. Click on a cross country skiing trail below to find trail descriptions, trail maps, photos, and reviews. Such a pleasant trail for families to ride bikes and walk. Clean, and some fun exploring in the creek, neat bridges and rock steps. Nice, easy trail to do with kids. Trail has lots of trees & goes thru a park. I would also recommend the little restaurant along the trail, Galloway Grill. They are biker & kid friendly w/ good food & a decent selection of beers. The bolivar portion can be hard to ride on a street bike. We have a tandem and it was pretty hard. We came back with mountian bikes. And it was great!! 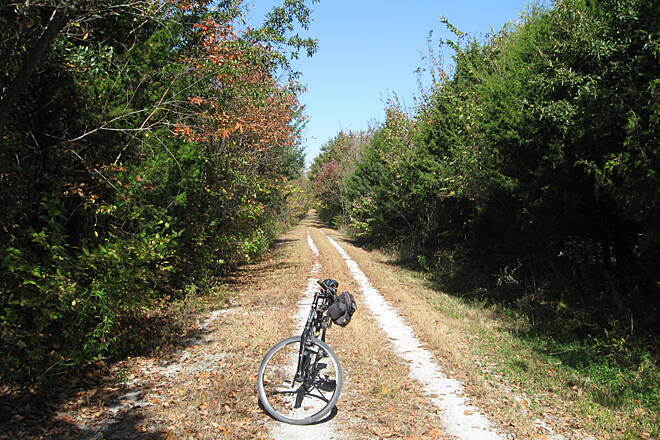 From the trailhead at Springfield, the trail is paved and flat for the first 9 miles. Not much scenery to see along this stretch. But this is misleading as the remainder of the trail has many low hanging branches and dangerous ruts as you make your way down the trail. I was riding my hybrid and got a flat tire as did another cyclist we encountered along our 35 mile ride. As we saw only 6-7 cyclists all day long, the odds of getting a flat are pretty high. 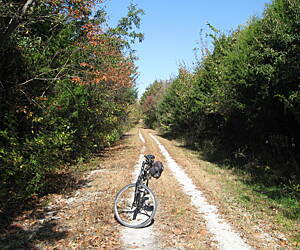 If you must ride this trail, start from Boliviar as it is much more scenic. Bring all the water you can carry and bring extra tubes! !